A 2 minute sketch comedy made by Tomska. 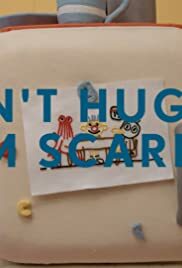 Two of the original puppets return in this 5th installment, where a can, a steak, a refrigerator, and a loaf of bread attempt to teach them about health as it applies to food, but faulty teachings causes one of the puppets to lose all faith and attempts to escape, with dire consequences. The third puppet simultaneously tries to send them phone calls in order to tell them what will happen, but it's too late.